You may have seen Historypin presentations at the SAA annual meeting in 2012 or at other conferences; it seems like everyone is talking about it. So what is it? Historypin is an award-winning, global, interactive online application for individuals, libraries, archives, museums, and other types of cultural and historical organizations. It’s won an American Association of School Librarians award for being a “Best Website for Teaching and Learning” (2012), a “Best Family History Website” by Family Tree, and a Webby Award. Historypin has proven itself as a great access portal for users to discover new material, and a useful publicity tool for archives to reach out to new users and share their materials. After creating a channel and profile with a featured photo and introduction, users can then create collections of photographs that revolve around specific topics. Each channel can create an unlimited number of collections. There is no cost to host collections on Historypin. It’s easy to upload photos to Historypin. If you have over 200 photos in a collection, Historypin recommends using its batch uploading function. Historypin also creates artificial collections, meaning that they allow multiple users to submit photos to one collection that they manage. For instance, many users contributed photos to a “Grandparents” collection. It’s a great way for people to discover new institutions and the materials they feature. You can become a “fan” of other channels, and others can become “fans” of yours. Each photo posted, or “pinned,” requires metadata, or data about data; otherwise, it will not be visible. Users are required to include a date (approximate dates are okay) and a location. Locations can include specific addresses, or more generic locations like an intersection or city. Entering metadata is very important; it provides context to every photograph. 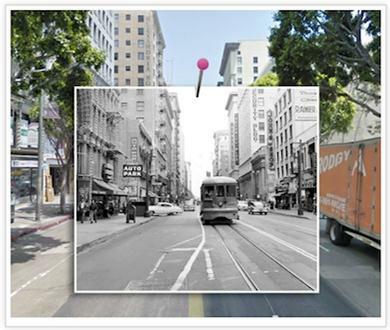 The coolest feature is the geomapping of the photos—Historypin uses Google Maps to “pin” photos on a map—and if an exact address is provided, Historypin overlays the pinned photos with the current Google Maps Streetview photo, so you can see a side-by-side comparison of the location! A Historypin widget is available to post on your institution’s website and blog. Use it so you can tell your followers about your Historypin channel! Explore Historypin, especially the channels of libraries, archives, and museums. Create a separate gmail account so you can create your institution’s Historypin channel. All Historypin channels need a gmail email address to create a channel. Determine what types of collections you would like to feature on your page. Create your “about” page with introduction and selected photo. Publicize your collection and channel! What features do you find the most useful? What types of collections did you create? Would you recommend Historypin as an outreach tool to other archivists and institutions? Do you think you have the resources to add to your channel regularly? 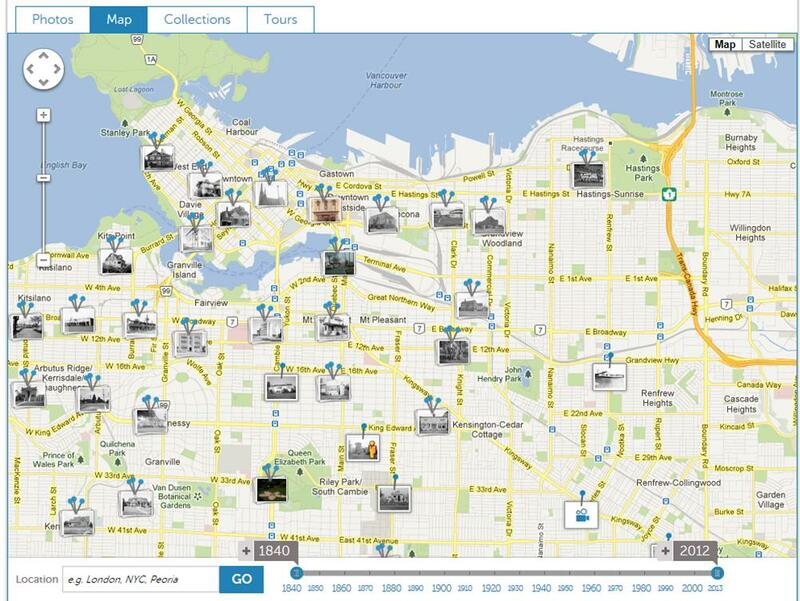 “Historypin Launches, Shows Your World As It Was”, by Zachary Sniderman on Mashable (July 12, 2011).